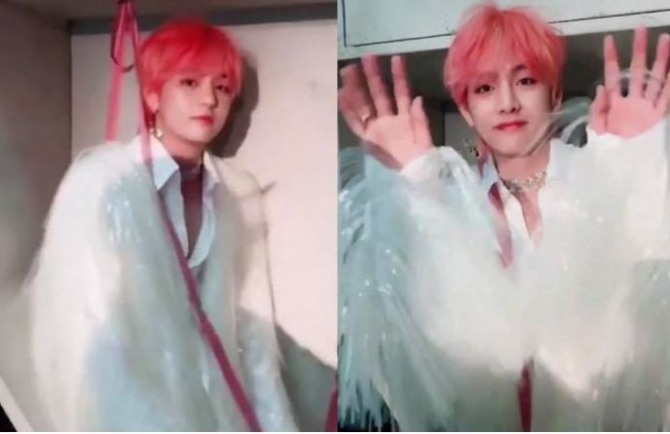 Already a fashion icon, V of BTS is causing a stir among fans with his brand-new pink hair. 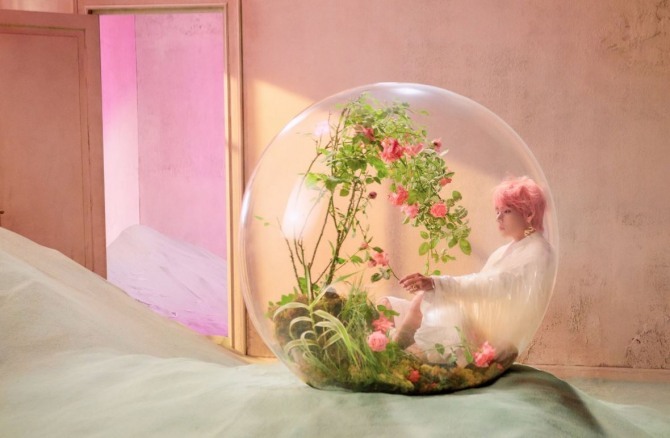 In recently released teaser photos for BTS’ upcoming repackaged album “Love Yourself: Answer,” V revealed his new bubblegum-pink hair that resembles an animation character. 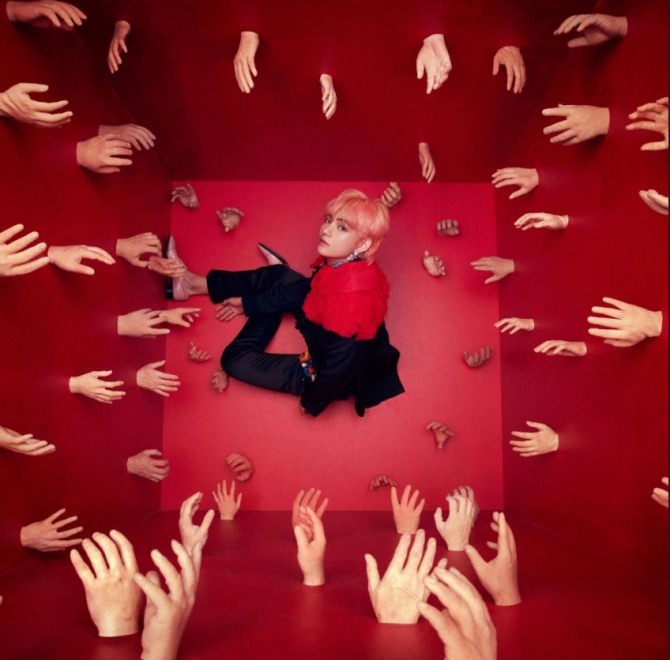 Pink hair can be bold and subversive at the same time, so let’s see how V’s new style plays out in BTS’ new album. BTS is set to release “Love Yourself: Answer” on Aug. 24. A day after the release, the act will kick off its world tour “2018 BTS World Tour Love Yourself” at the Olympic Stadium in Seoul, and head stateside next month for the North American leg of the tour.